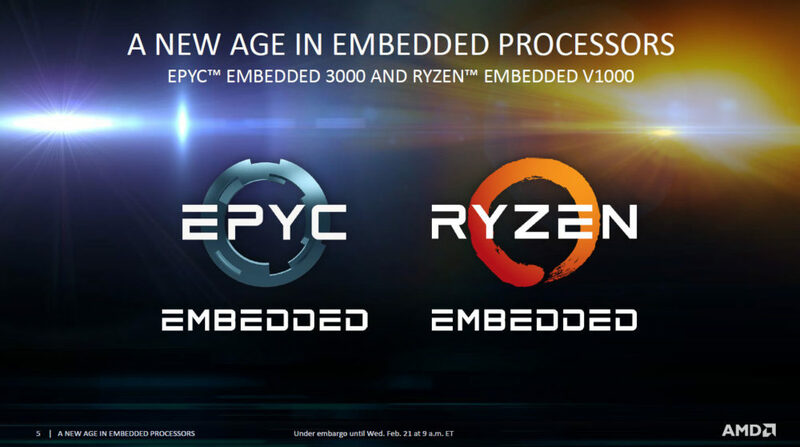 AMD today introduced two new product families – the AMD EPYC Embedded 3000 processor and AMD Ryzen Embedded V1000 processor – to enter a new age for high-performance embedded processors. 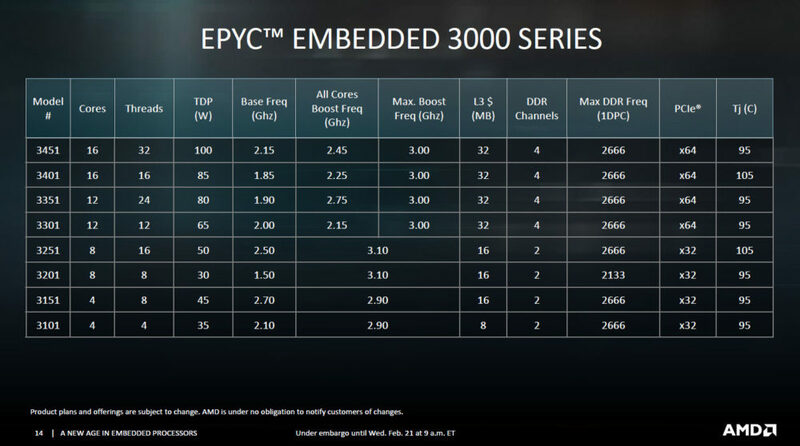 AMD EPYC Embedded 3000 brings the power of “Zen” to a variety of new markets including networking, storage and edge computing devices, while AMD Ryzen Embedded V1000 targets medical imaging, industrial systems, digital gaming and thin clients. These new AMD Embedded processors deliver breakthrough performance, exceptional integration and on-chip security. 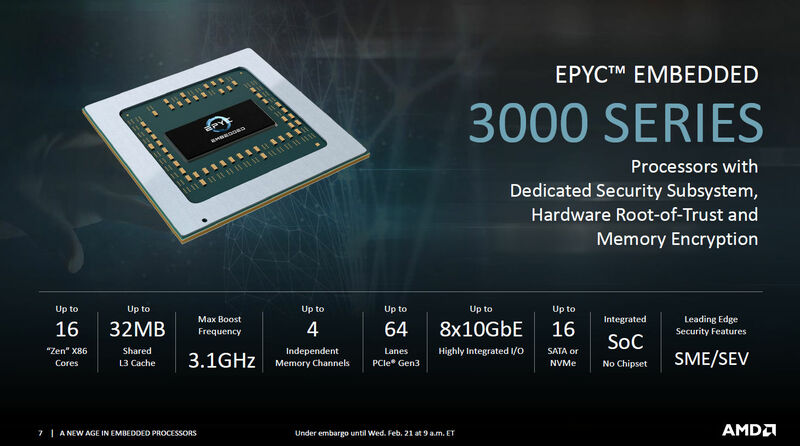 The Esaote ultra-performance MyLab9 eXP ultrasound system for general medical imaging, women’s healthcare and cardiovascular diagnostics, based on the Ryzen Embedded V1000 and targeting Q3 availability. Breakthrough Accelerated Processing Unit (APU) coupling high-performance ‘Zen’ CPUs and ‘Vega’ GPUs on a single die, offering up to four CPU cores/eight threads and up to 11 GPU compute units to achieve processing throughput as high as 3.6 TFLOPS. 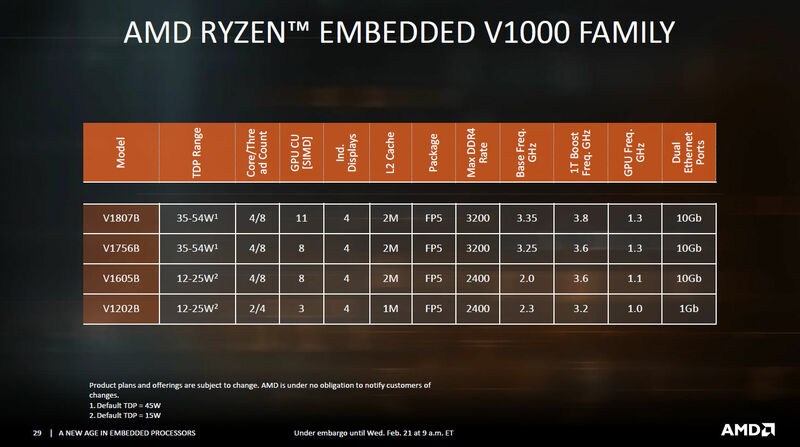 By combining the power of ‘Zen’ and ‘Vega’ architectures, the Ryzen Embedded V1000 family can deliver up to 200 percent more performance compared to previous generations. 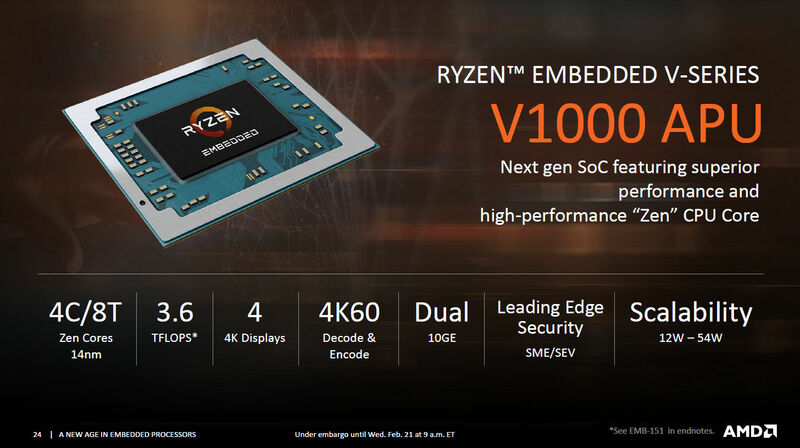 Incredible resolution in a small package, driving up to four independent displays running in 4K, with the ability to support 5K graphics for applications demanding next-generation visual clarity, including support for H.265 decode and encode, and VP9 decode.